The advice that everyone gets when they are looking for a job or wanting to learn more about their industry is to attend networking events. If you are in this situation, it is a great idea to participate in an event. Now the big question is, what happens next? 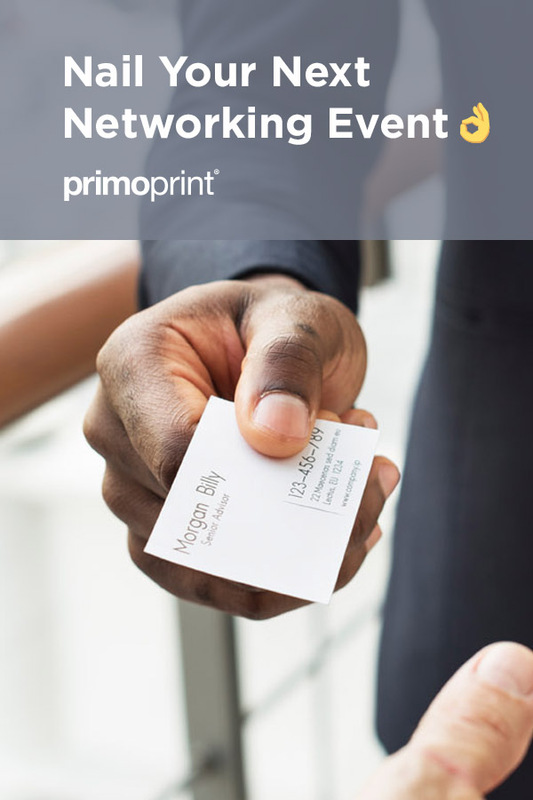 Well, you probably know by now that there is more to networking than just showing up, distributing business cards and enjoying the activities on hand. The best way to network is to sell “you as a brand.” Go to the event and allow yourself to interact with people; discuss who you are and what you do by focusing on your experience. The most important thing to remember, however, is that it takes a little preparation and practice. 25% of professionals across all levels have admitted they don’t network at all! 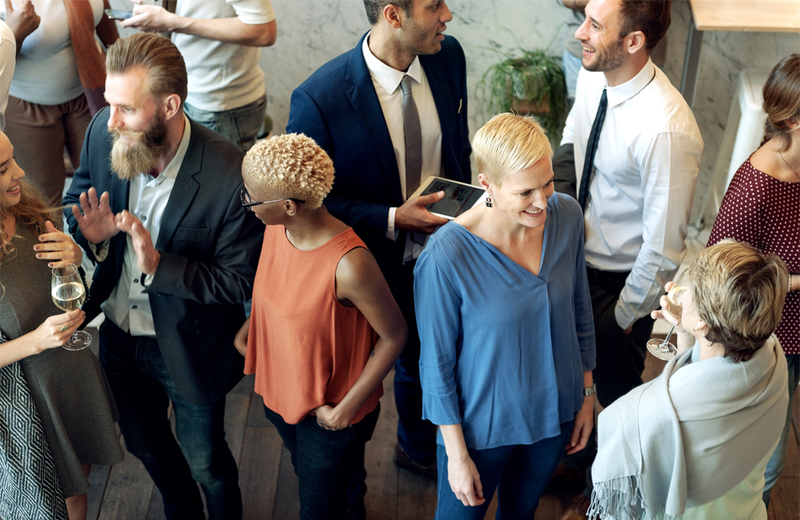 Below, we’ve listed 9 Networking Tips to Make the Event a Success. Before going, ask yourself the specific reason for attending this event. Set a solid, realistic and achievable goal. For instance, say that by the end of the night, your goal was to interact and meet three new individuals. Setting up goals can be beneficial and gives you a purpose for attending. As much as people like ignoring the facts, the reality is that the first impression you make is always essential. Do some research and check with the organizer or look online for the dress code. Make sure you pick a professional outfit to look professional. Wear something comfortable and fits you well as this will help you exude the needed confidence. If you want to ensure that people remember and contact you when they need the service you are providing, hand them your business cards. Always bring a few more cards than you think you’ll need. Make sure they are properly protected in a case to make sure they are not damaged in any way. Think about printing on thicker card stock to add additional protection such as 16PT, 22PT gloss laminated card, painted edge business card or 32PT thick business card. You can view all our business card printing options we offer. They say that we have two ears so we can listen more than we speak. Apply this in your dialogue. Ask the other person a question as opposed to talking about yourself. People get more attentive when information is being demanded from them. Most people approach the issue of networking from a gaining something perspective. The best way to look sincere is to list a few questions about the person’s background and ask them. When you get your turn to say what is important to you, state it in two or three sentences. People lose interest very quickly when you keep telling endless tales. Stay focused and to the points. This is the easiest way to remember important details. It also shows that you take yourself seriously. Not only will it help you remember everything that occurred during the event, but it will be useful when following up. Need additional information on how to effectively take notes? Elizabeth Ludin discusses How to Take Better Notes: The 6 Best Note-Taking Systems. Look through the business cards you received and make sure you follow up with individuals who you would like to stay in touch with. Set up a time to meet for coffee or a quick lunch to discuss more. If you are looking for a custom design, our in-house graphic designers will be happy to help. With the following tips, attending a networking event should be a success.